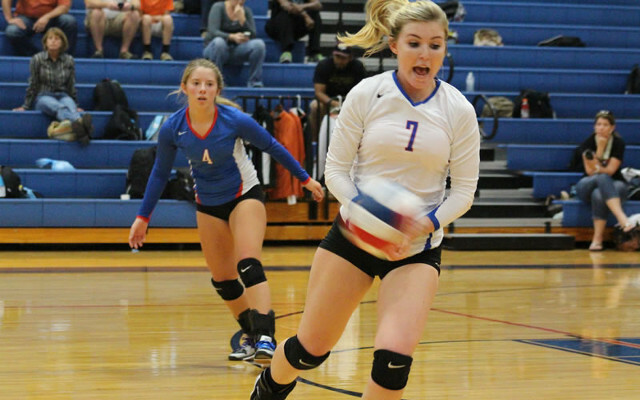 TEMPLE – The Temple Volleyball team struggled on Friday night as they fell to Hutto in three games by a scores of 25-17, 25-20, 25-11. The Tem-Cats 5-20 on the year were paced by Timmea Joiner-Grove with 4 kills while Destinee Byars chipped in 3. Tiffani Mays registered 3 kills and 2 blocks playing the net while Elaine Farbo and Erica Garcia each picked up 6 digs. Abigail Petter and Angel Rivera each had a pair of aces and Rivera dished out 9 assist. Temple, which has been eliminated from playoff contention, will play their final home game of the season on Tuesday as they will host visiting University in Wildcat Gym at 6:30.